Groups > Persecuted Christians > Discussions > Topic: WELCOME TO PERSECUTED CHRISTIANS IN THE YEAR 2009! 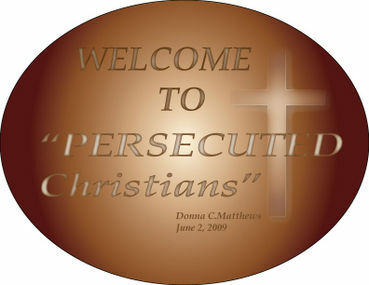 Topic: WELCOME TO PERSECUTED CHRISTIANS IN THE YEAR 2009! IN THIS GROUP YOU WILL FIND INFORMATION ABOUT CHRISTIANS WHO ARE BEING PERSECUTED THROUGHOUT THE WORLD, ABOUT PASTORS IN THE THIRD WORLD WHO ARE PREACHING AND REACHING OUT TO THE POOR AND NEEDY, [OFTEN THOSE WHO NO ONE ELSE CAN OR WILL REACH]. PLUS I PUT ON THREADS ABOUT CHARITIES, WORLD EVENTS, DISASTERS, GOSPEL READINGS, BIBLE READINGS AND OTHER MESSAGES AND THREADS, WHICH MAY INCLUDE GRAPHIC DESIGNS. SINCE THIS IS A VERY SERIOUS GROUP AT TIMES I TRY TO PUT ON ENCOURAGEMENTS ALSO. PLEASE FEEL FREE TO DISCUSS, READ, POST, SNAG GRAPHICS, TO BLOG, AND TELL US ABOUT YOURSELF. I WANT TO EDUCATE PEOPLE THAT THIS PERSECUTION DOES EXIST AND IS ACTUALLY QUITE COMMON IN SOME COUNTRIES. I ALSO WANT TO BUILD BRIDGES FROM ONE COUNTRY TO ANOTHER, FOR WE ARE ALL BROTHERS AND SISTERS, AND WE NEED TO HELP EACH OTHER. OF ALL MY GROUPS, I NEED PRAYER WARRIORS MORE THAN ANYWHERE ELSE, AND I HOPE THAT YOU WILL VOLUNTEER TO PRAY AND TO BE A PRAYER WARRIOR, FOR THOSE WHO REALLY, REALLY NEED OUR PRAYERS! GRACE AND PEACE TO YOU, IN THE NAME OF JESUS, OUR LORD AND SAVIOR! WE ARE GLAD THAT YOU HAVE JOINED OUR FAMILY! PLEASE FEEL FREE TO POST AND TO READ THE MESSAGES. WE ALSO HAVE GRAPHICS THAT YOU CAN SNAG OR POST; HOWEVER, I ONLY ASK THAT THESE GRAPHICS BE OF A CHRISTIAN NATURE AND THAT YOU ARE CAREFUL ABOUT THE COPYRIGHTS, WHICH CAN GET US INTO TROUBLE. SOMETIMES I CREATE GRAPHICS AND YOU CAN ALWAYS SNAG THESE AND USE THEM FOR ANY CHRISTIAN WORK OR GROUP, THAT IS NON COMMERCIAL. WE'RE GLAD THAT YOU HAVE JOINED OUR FAMILY. PLEASE FEEL FREE TO POST AND TO READ THE MESSAGES! WELCOME TO PERSECUTED CHRISTIANS IN THE YEAR "2009" GERRY! Glad that you have joined our family! I'd love to have you do some posting! How about it? WE ARE GLAD THAT YOU HAVE JOINED OUR FAMILY! PLEASE FEEL FREE TO POST OR BLOG, POST GRAPHICS, OR SNAG GRAPHICS, INSPIRATIONAL WRITINGS OR NEWS ABOUT PERSECUTION! WE ARE GLAD THAT YOU HAVE JOINED OUR FAMILY! PLEASE FEEL FREE TO POST AND TO READ OUR MESSAGES! YOU MAY BLOG, POST GRAPHICS, OR SNAG GRAPHICS! I'm sorry that I am so late with your welcome! I have been very ill for a solid month, and on top of that I am in the busiest semester of my entire school duration. We are very glad that you have joined us and we will pray for you also! Please feel free to post, read all of the messages, snag graphics or put on any spiritual and appropriate photos, graphics or messages. Poetry and inspirational writings are also welcome. Glad to have you here! WE ARE GLAD THAT YOU HAVE JOINED OUR FAMILY! PLEASE FEEL FREE TO POST OR TO READ THE MESSAGES! We are glad that you have joined our family! Please feel free to post and to read any and all of the messages! We are so glad that you have joined our family. Please feel free to post and to read the messages! We are so very glad that you have joined our family! Please feel free to post and to read the messages! We are glad that you have joined our family! Please feel free to post and to read! We are glad that you have joined our family! Please feel free to post and to read the messages. 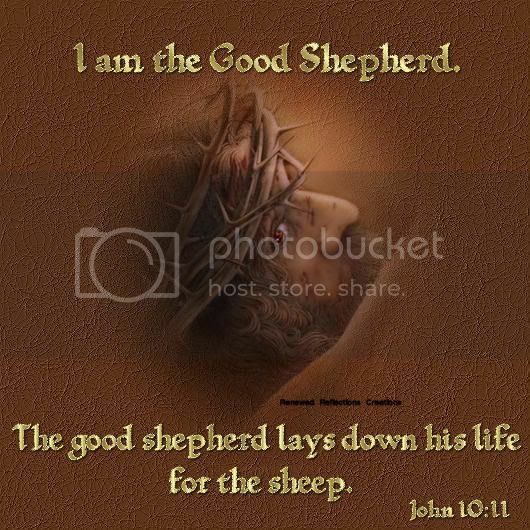 In the name of Jesus Christ, our Lord and Savior, who loves everyone, and is the Son Of God. Please accept my apologies for misspelling your name and once again, welcome! We are glad that you have joined the family! Please feel free to post and to read the messages! Grace, Peace, and Blessings through Jesus Christ! We are glad that you have joined our family!Please feel free to post and to read the messages! Grace, Peace, and Blessings through Jesus! We are glad that you have joined our family! Please feel free to post and to read the messages! Grace, Peace, and Blessings through Jesus! Peace, Grace, and Blessings through Jesus!